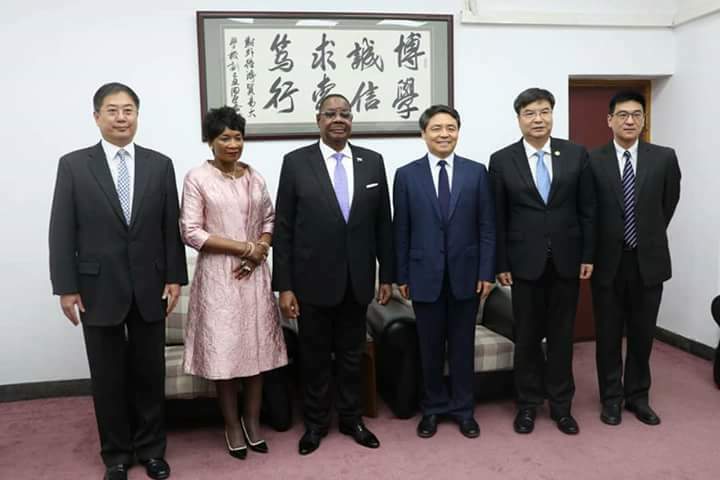 Malawi President Peter Mutharika who has been on a very public and picturesque trip to China with one eye focused on the Malawi May 2019 upcoming elections, says he is personally anxious to learn how China managed to move from poverty to prosperity within a reasonable period of time. According to MANA reporting the Malawi President said this when he paid a courtesy call to Chinese President, Xi Jinping at the Great Hall of the People in Beijing- China on Saturday, Malawi President Mutharika reportedly said he often marvels at how China, which used to beg from other countries like, could turn into such a prosperous nation within a short time. “I understand when you were governor of Xi’an Xianyang City, you took the people from poverty to prosperity and we would like to learn from that. My government is also committed to doing that and we would like to learn how China can help us achieve that,” explained Mutharika. “We are very much appreciative of what China has done to Africa and Malawi in particular. We appreciate China’s vision for Malawi. 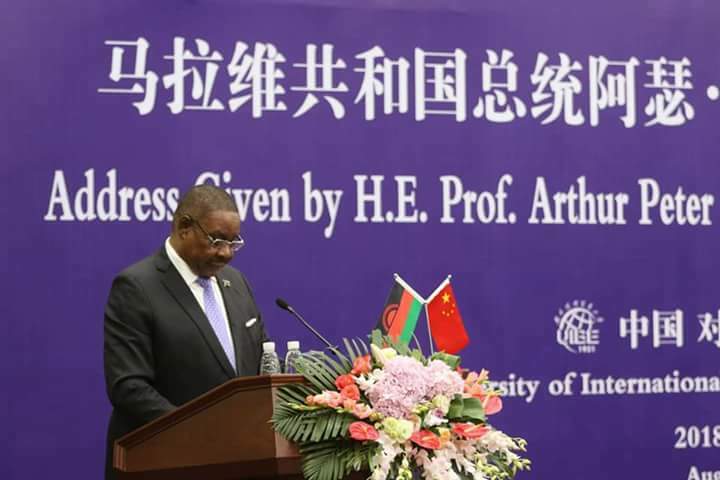 Within ten years, China has done tremendous development in Africa and Malawi in particular,” said Mutharika. The president said he is committed to continuing with the legacy Late Bingu WA Mutharika his older brother who switched from Taiwan to Mainland China and thus started this beneficial relationship that has seen China build roads, Malawi parliament and Bingu Football stadium in the Capital Lilongwe. Taking his turn, the Chinese President welcomed President Mutharika and his entourage, commending them for their support to the Forum on China Africa Cooperation Summit. The Chinese leader expressed commitment to expanding further the bilateral relationship that exists between China and Malawi.